Results from this year’s Visa Global Travel Intentions Survey reveal that Australians were the highest spenders on travel, splashing out around US$3,636 on their last trip compared to the global average of US$1,895. The United Kingdom was the top destination for Australians. Fairdinkum, I am going to London baby! The top three destinations around the world were the United States, the United Kingdom and Japan. Saudi Arabian respondents were the next highest spenders, dishing out an average of US$3,129 on their last trip, favoring Egypt, Malaysia and the United Arab Emirates. I thought these guys would win it for sure. I have seen them shop-til-you-drop in Bangkok, Kuala Lumpur and Singapore, in the expensive stores. This entry was posted in Australia, UK, World on 2011/10/03 by Trailsurfer. 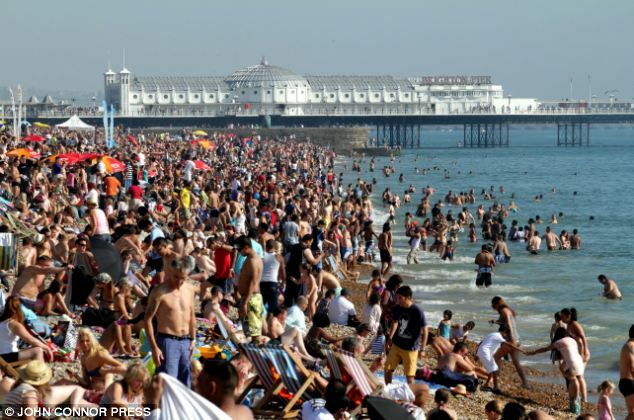 Thousands of people packed out Brighton beach today to take advantage of the glorious sunshine and the record breaking heat wave that has descended on UK. The mercury peaked at 30C (86F) in parts of the country yesterday, making it not only the hottest day recorded in October, but the third hottest of 2011. If you are in the area then enjoy taking part in this record! This entry was posted in UK on 2011/10/02 by Trailsurfer. 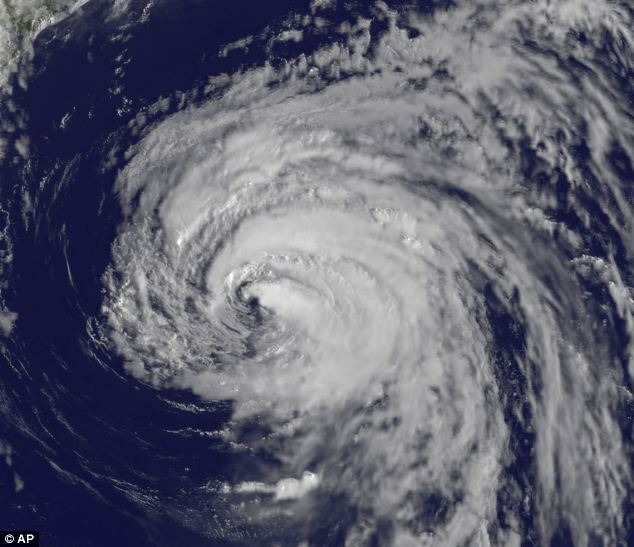 Northern Europe is preparing to be lashed by Hurricane Katia. Torrential rain is expected to strike on by Tuesday with winds of 80 miles an hour and swells reaching up to 15 metres. This entry was posted in Sweden, UK on 2011/09/10 by Trailsurfer. Heathrow airport in London will be introducing new bodyscanners that replace graphic images of the human torso with a cartoon-like picture. Britain’s largest airport has launched a trial using millimetre-wave scanners that bounce electromagnetic waves, instead of X-ray beams, off a passenger’s body. Travellers who set off metal detectors will be taken to the passenger screening area, where they will be allowed to look at the scanner’s image with security officers. If there is a suspicious package on the person, it will show up as a yellow box on a mannequin-like representation of the passenger’s body. 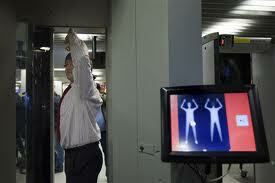 This could mean the end of body searches and metal detectors. This entry was posted in UK on 2011/09/06 by Trailsurfer. Data released this month shows that many hotels in London will be asking for almost three times the amount that they usually charge. Standard rates for rooms between July 27 and August 12 will rise dramatically, with huge increases being seen at the Berjaya Hotel in Kensington with the price of rooms rising to £999 a night from their usual charge of £89 to £199. 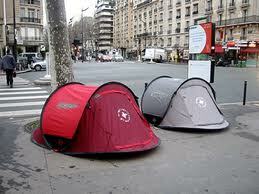 If you are going to London during the Olympics – bring a tent. This entry was posted in UK on 2011/09/05 by Trailsurfer. London’s Grade I-listed St Pancras station has made it onto a list of the world’s most romantic hotspots, compiled by travel guide publisher Lonely Planet. 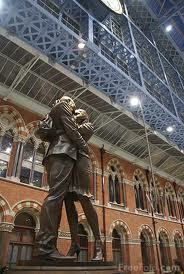 The Meeting Place – an area of the station which features a nine-metre-tall bronze sculpture of a couple entwined in an embrace – was listed alongside other heart palpitation-inducing destinations including Aphrodite’s Beach in Cyprus, the Taj Mahal in India and even Juliet’s House in Verona, Italy. This entry was posted in UK on 2011/09/04 by Trailsurfer. London’s colourful Notting Hill Carnival got off to a peaceful start on Sunday, defying fears that Europe’s biggest street festival could be marred by a repeat of this month’s devastating riots. The two-day, Caribbean-flavoured extravaganza draws up to a million revellers out onto the west London streets to watch troupes of dancers in exotic costumes perform on floats as powerful sound systems pump out music. “It shows everybody who comes here that we can have a good time in the streets, without rioting! This event takes place in the shadow of the disorder we saw across London, so we have reviewed our plans,” said Metropolitan Police spokesperson Commander Steve Rodhouse. Scotland Yard deployed 5,500 officers on Sunday and 6,500 for Monday, about a thousand more than last year. Around 4,000 extra officers are also on duty around London. 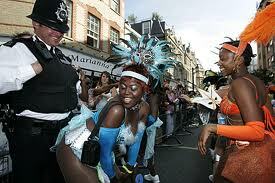 London Mayor Boris Johnson said the carnival would “let the true spirit of London shine through”. This entry was posted in UK on 2011/08/29 by Trailsurfer.